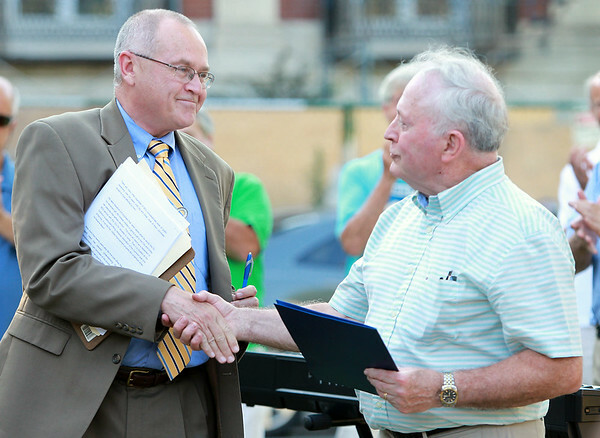 Former Beverly Mayor Bill Scanlon, right, shakes hands with former City Solicitor Roy Gelineau, after Gelineau read a statement from Congressman John Tierney during a short ceremony to dedicate a clock on Beverly Common to Scanlon's 16 years in office. DAVID LE/Staff photo. 7/9/14.